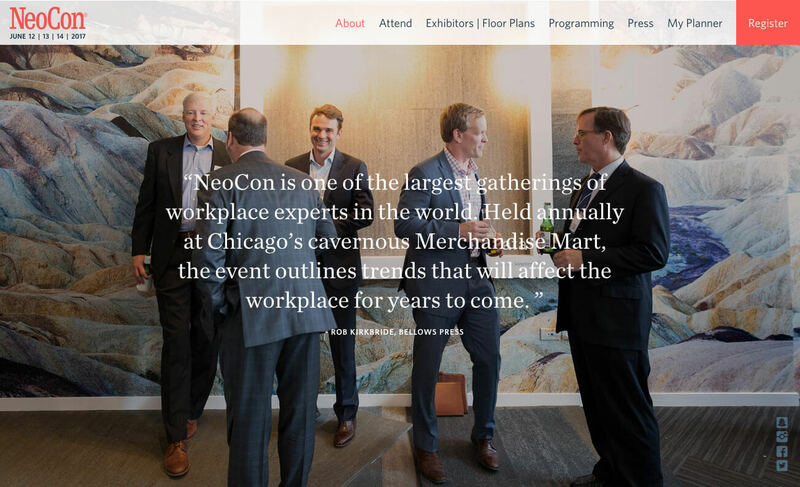 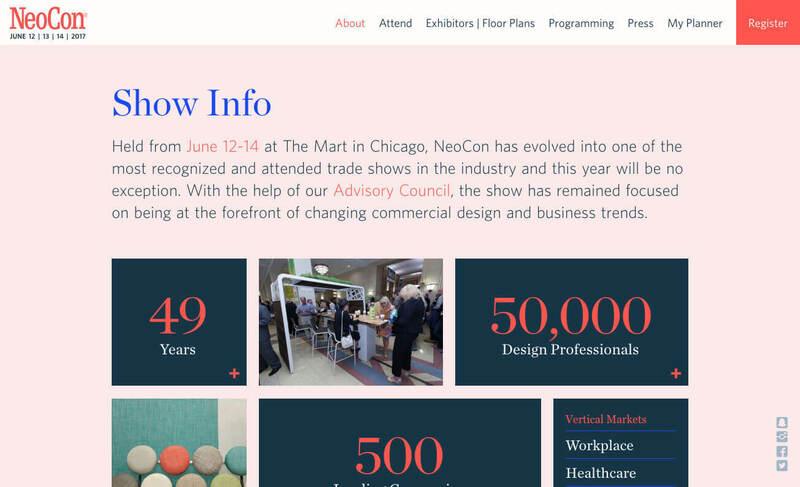 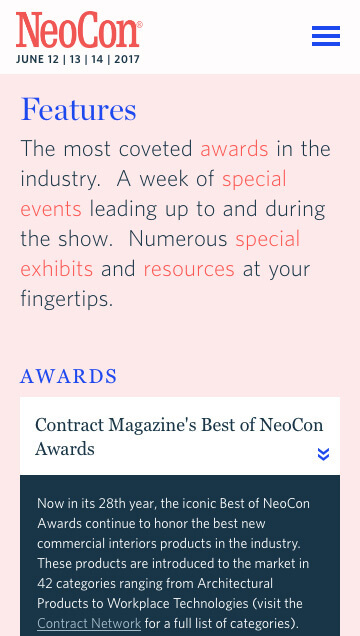 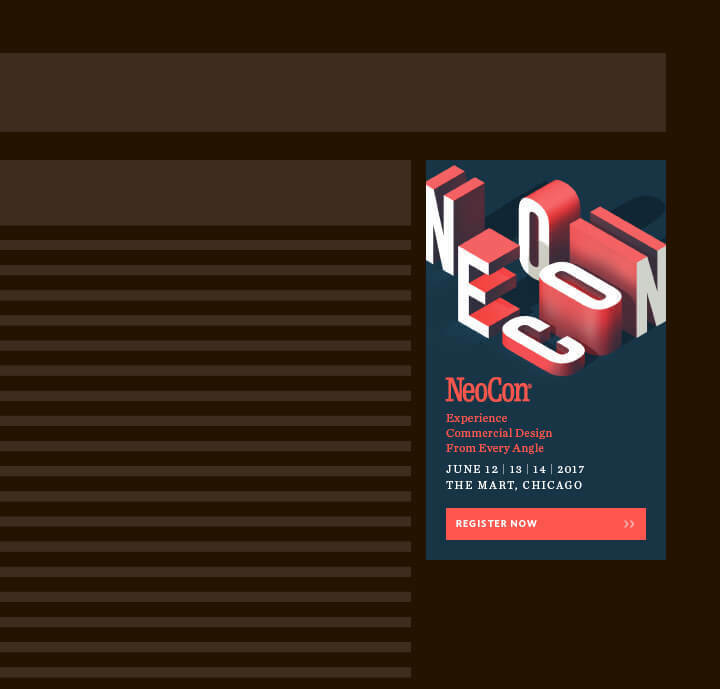 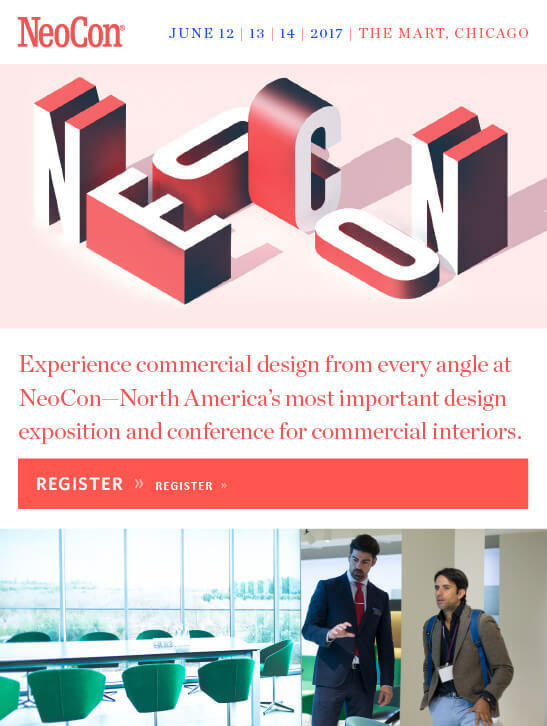 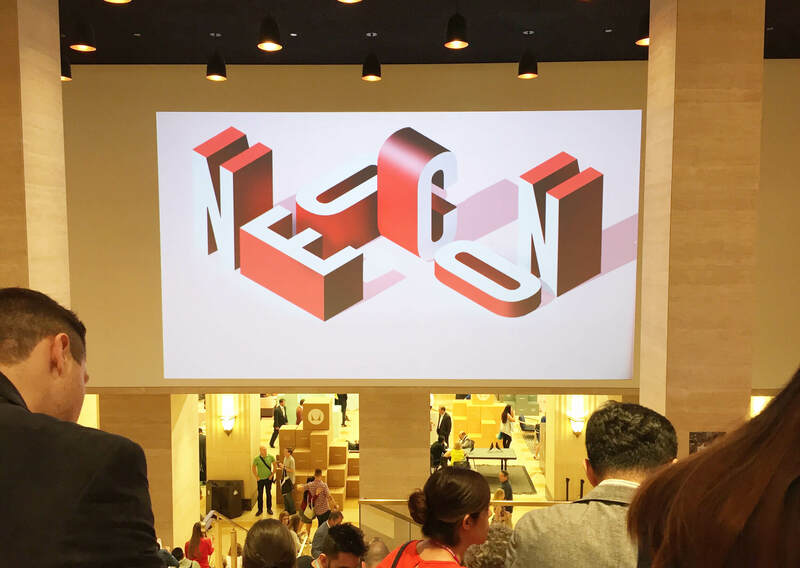 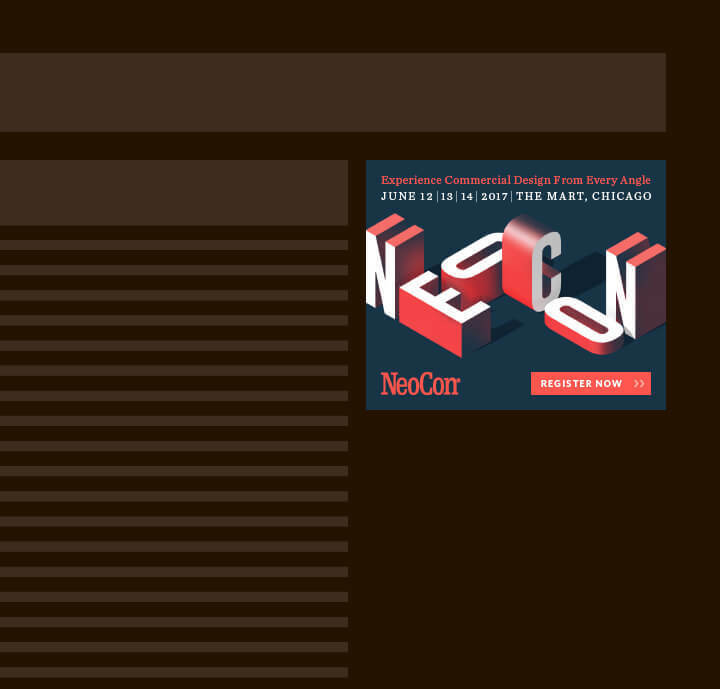 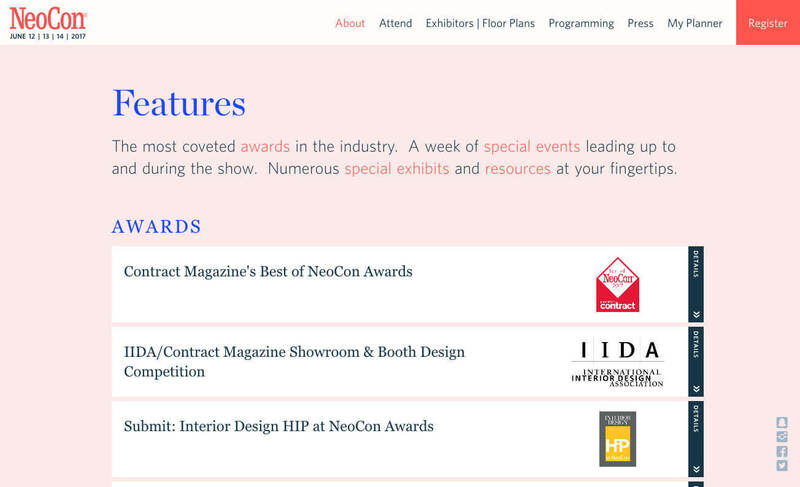 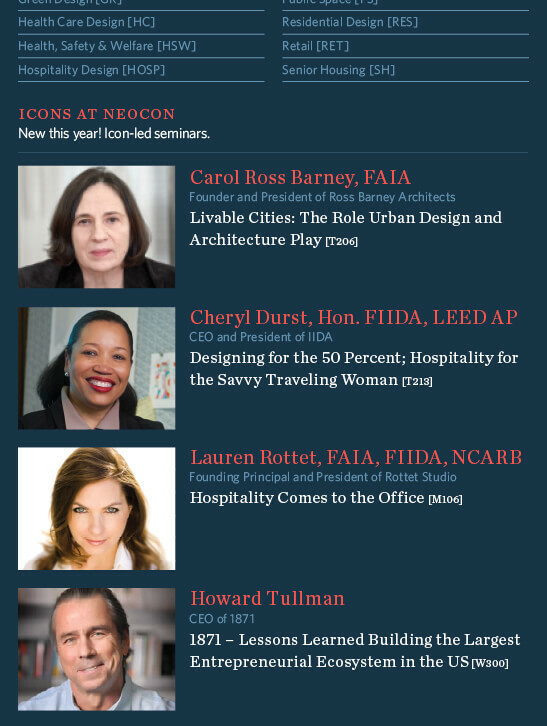 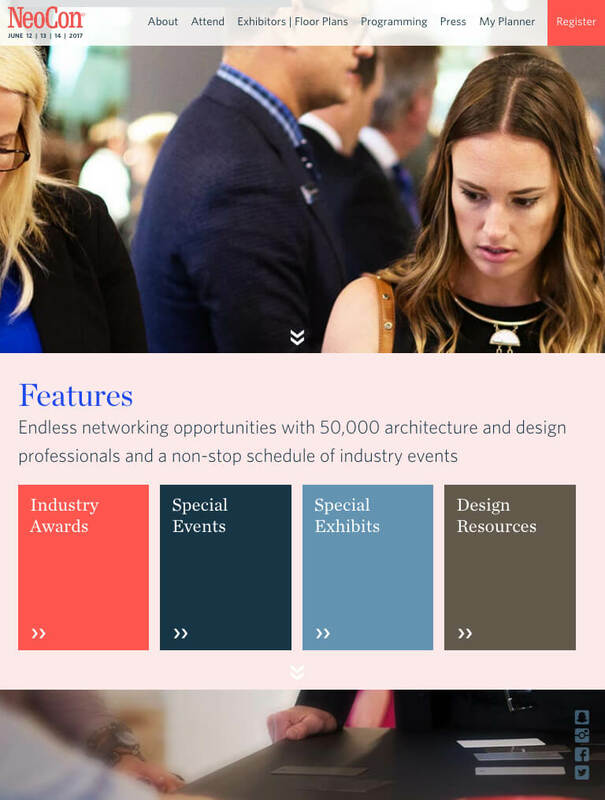 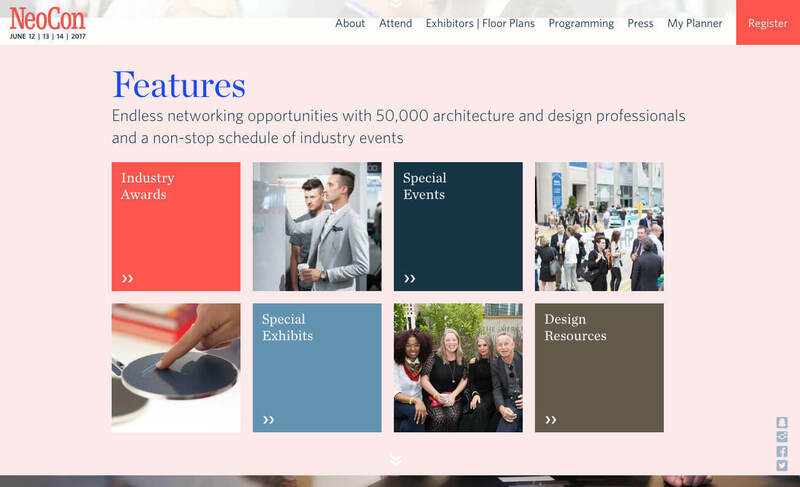 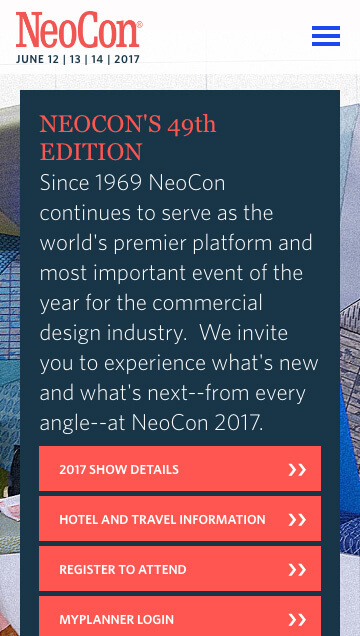 NeoCon offers a rich and multi-dimensional opportunity for the international design community. 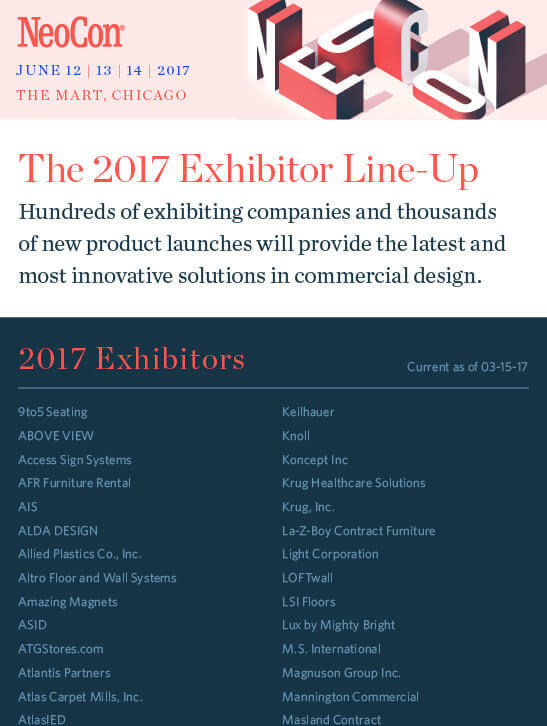 Nearly 1 million square feet of exhibition space is filled with industry-changing products and services from both leading and new manufacturers. 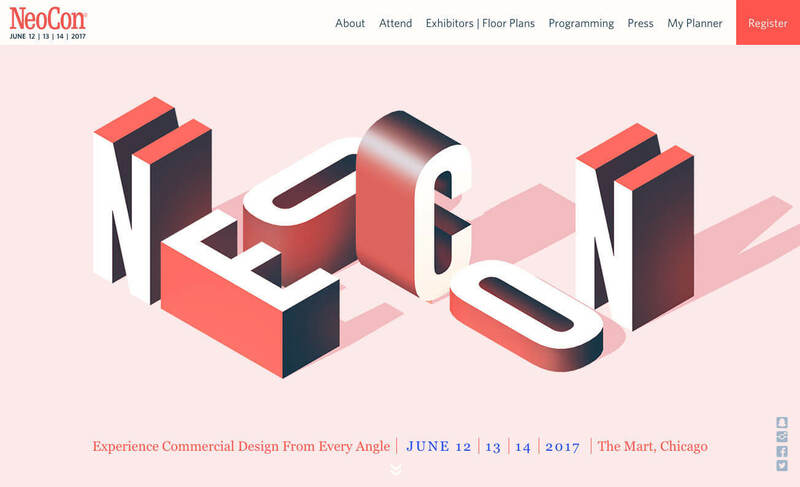 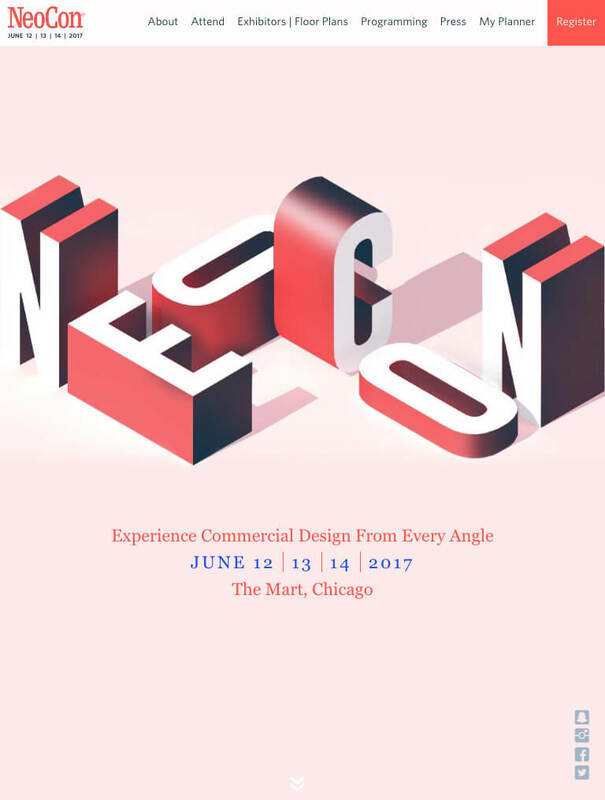 The trade show covers every angle of commercial design. 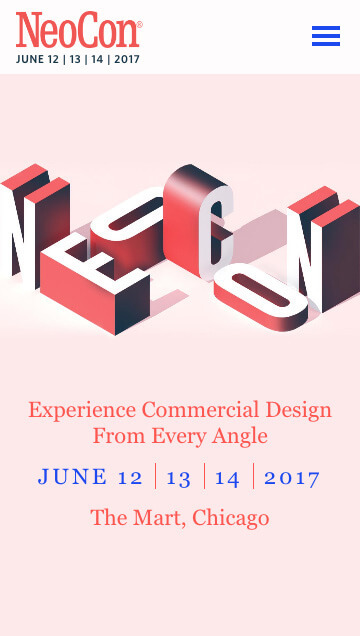 The marketing materials of the event used three-dimensionally rendered letterforms to create a structural image that defined the visual look of the show. 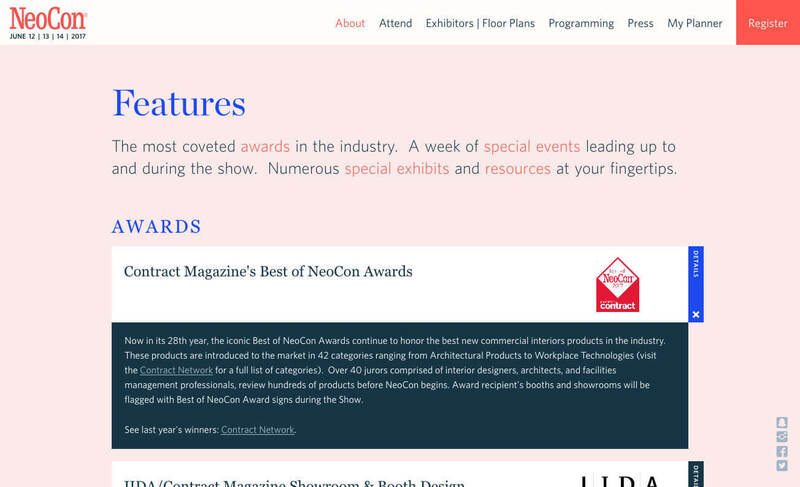 Website We designed and built the website in CraftCMS to allow the marketing team to update content throughout the year. 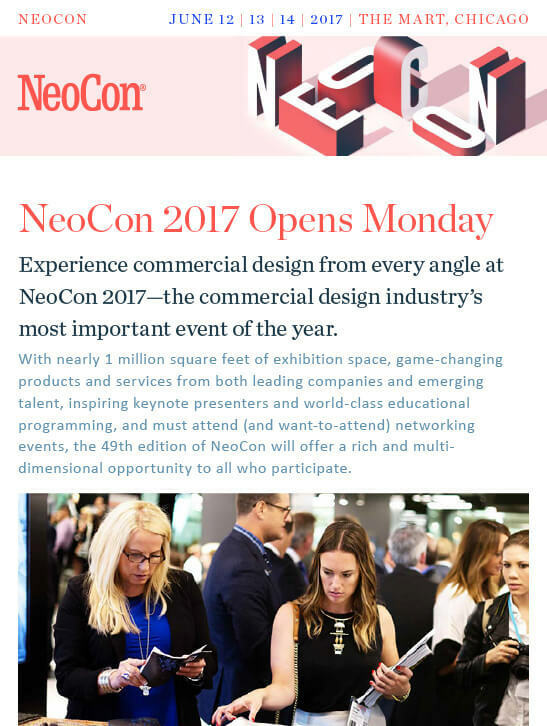 Direct Mail This brochure mailed to almost 200,000 professionals in the commercial interior design and architecture industries. 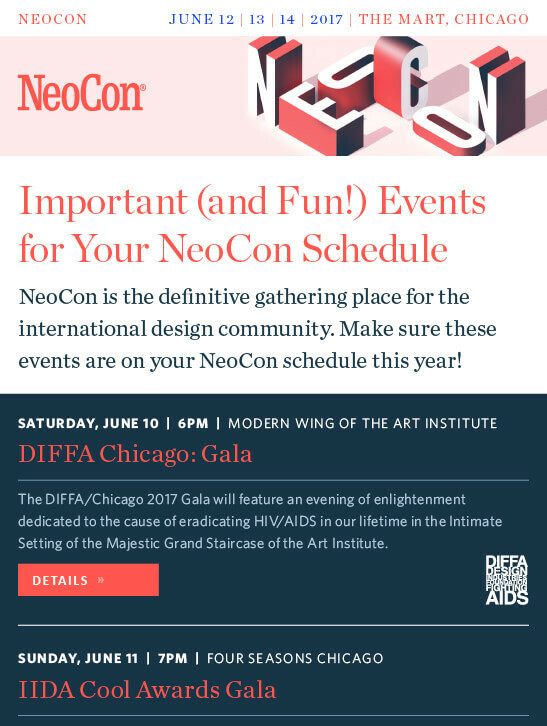 A six-page magazine advertisement in Casual Living magazine promoted the show and communicated more details about the event to potential attendees. 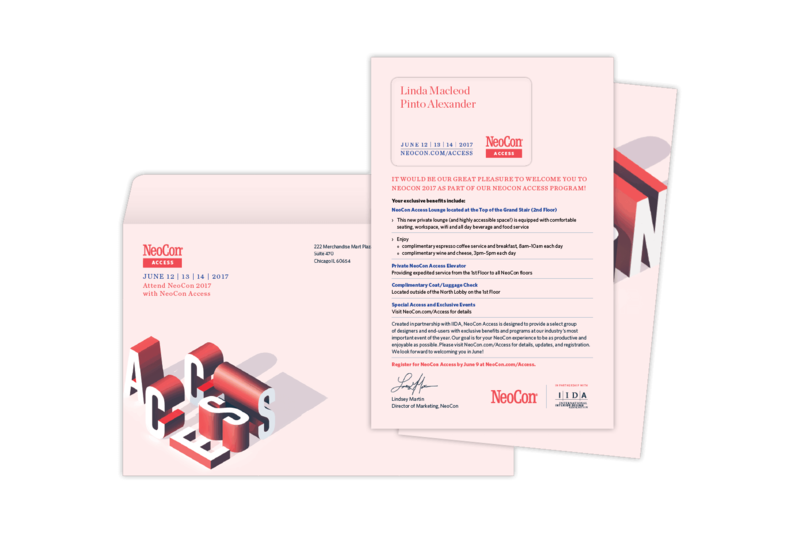 Over 20 emails were designed, programmed, tested, and distributed through their email service provider. 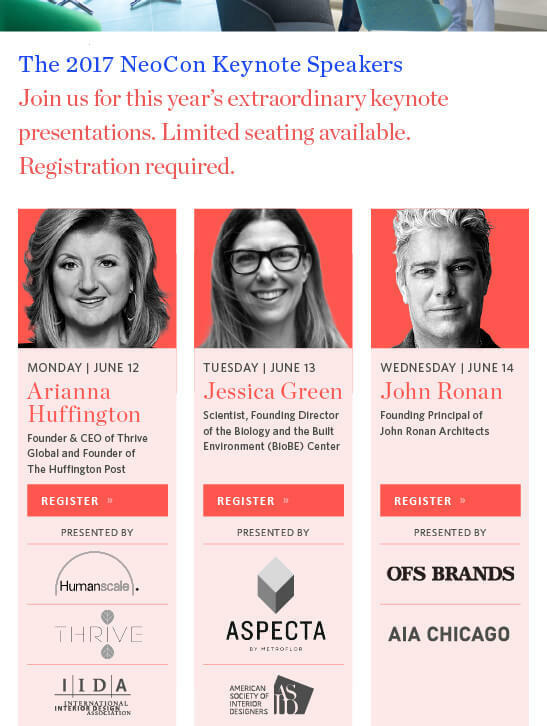 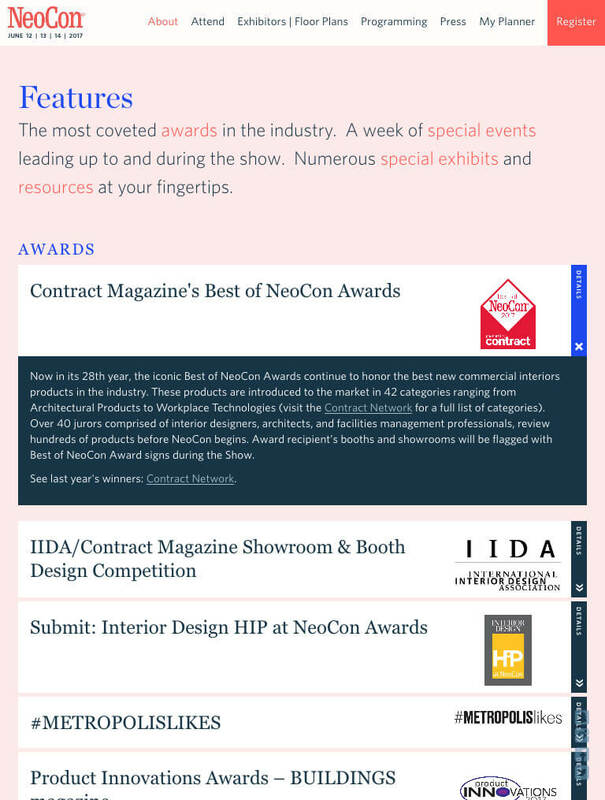 The emails used a responsive layout so they were easily read on every device. 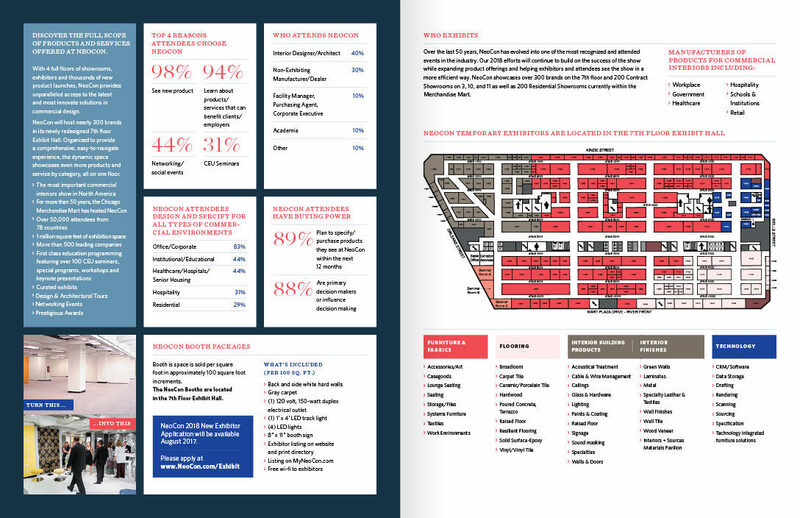 Print ads were designed and adjusted to fit over 13 different ad dimensions. 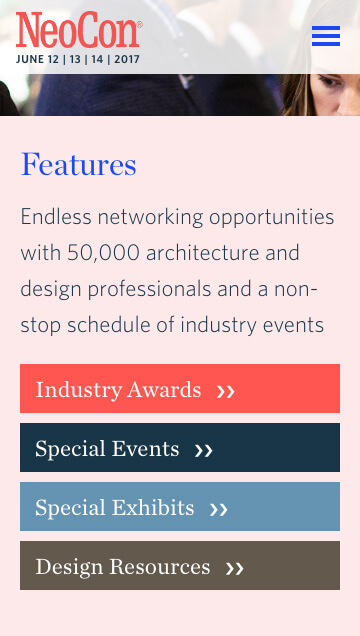 We also provided each publication with two versions of each ad so the artwork would look great no matter if it was placed on the right page or left page of the magazine. 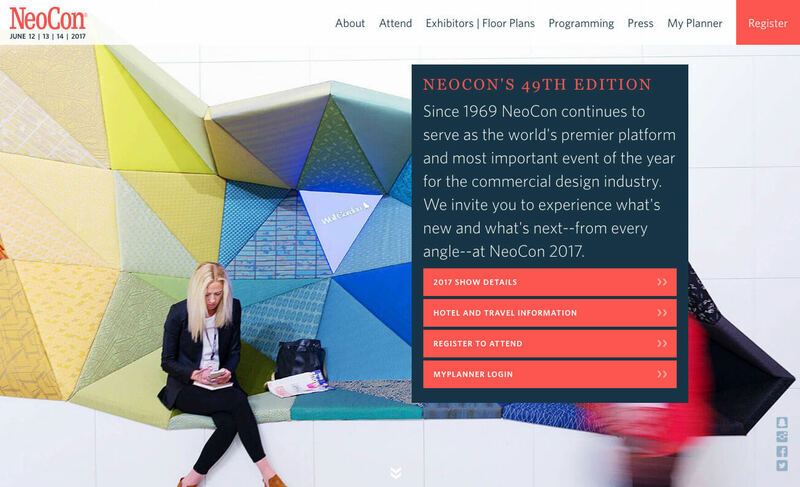 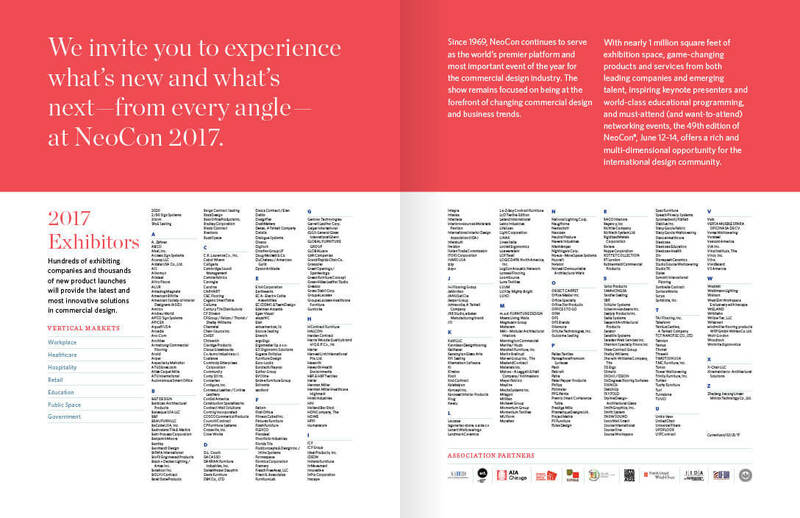 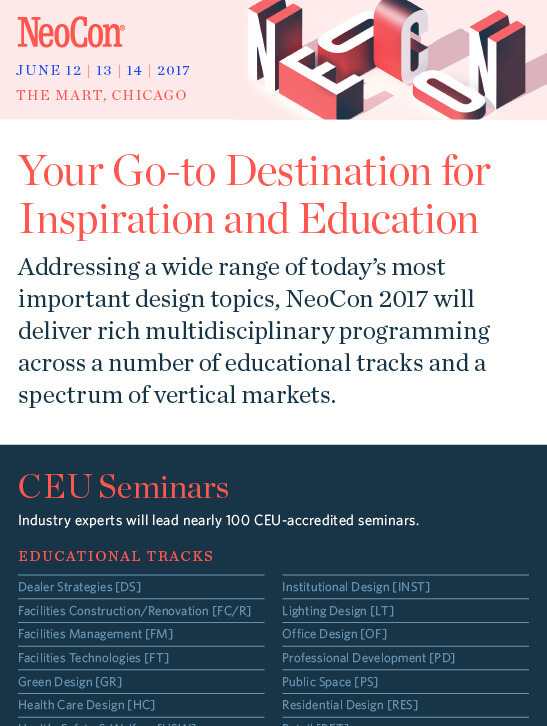 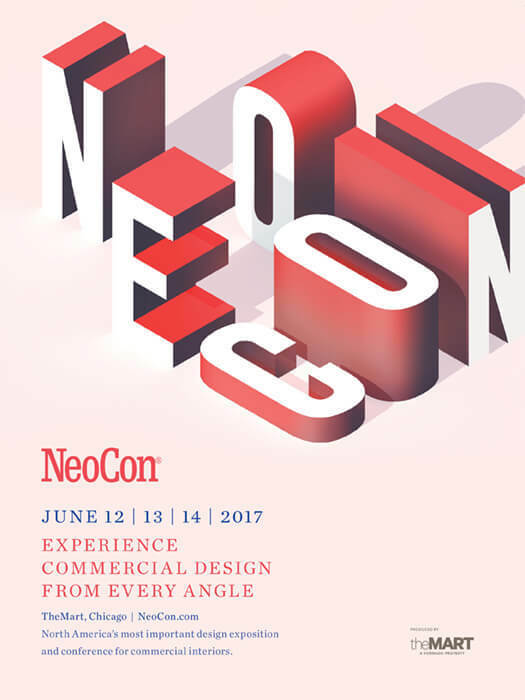 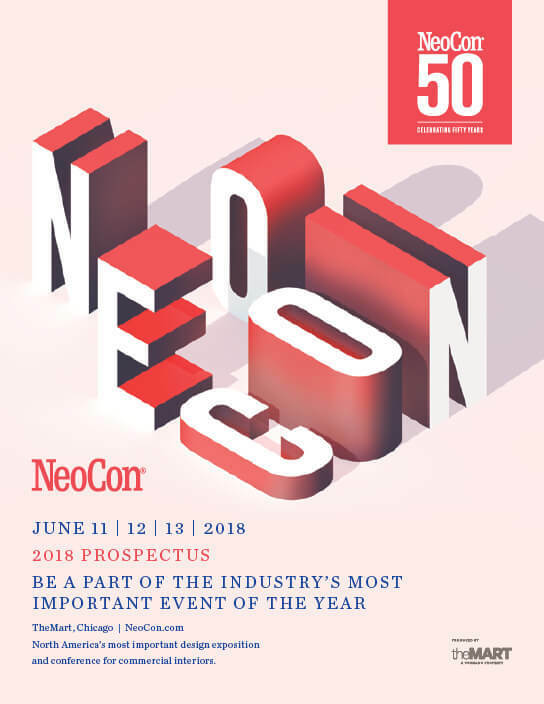 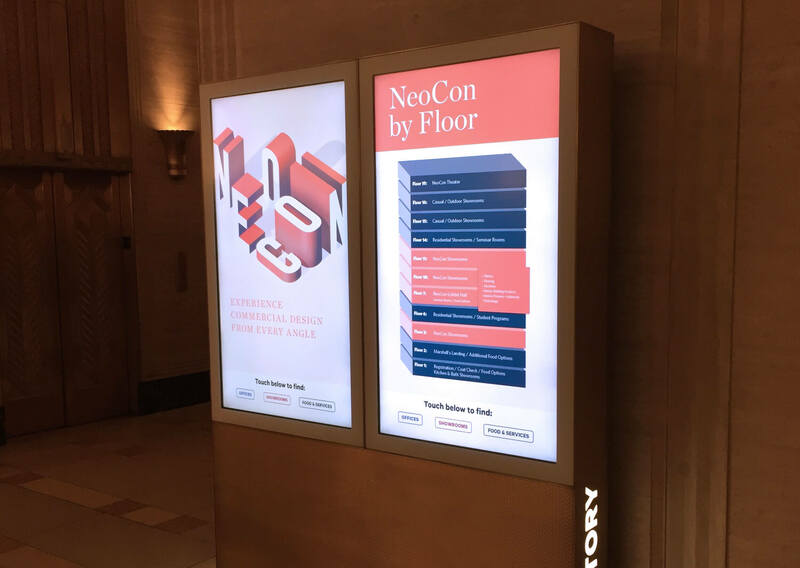 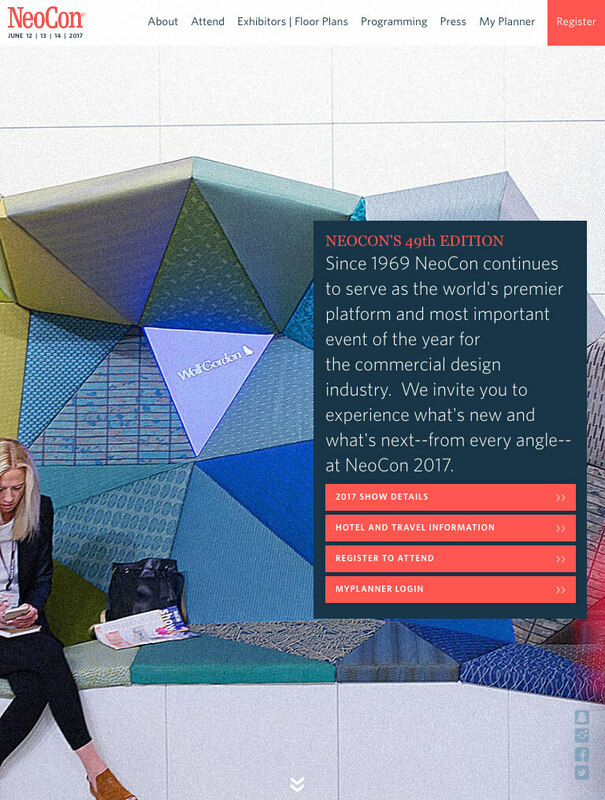 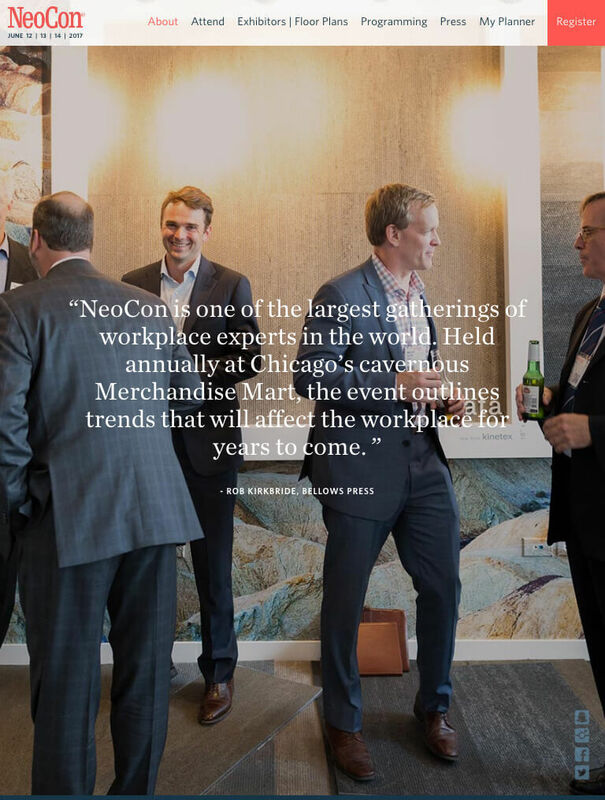 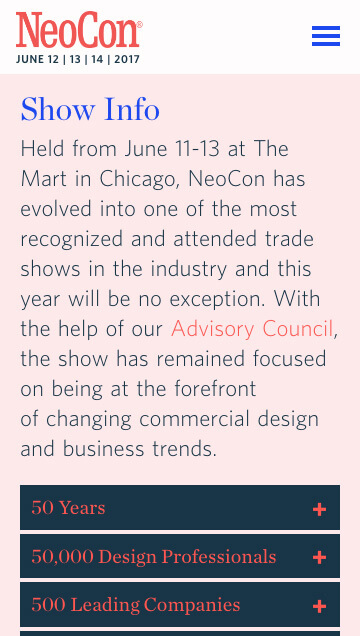 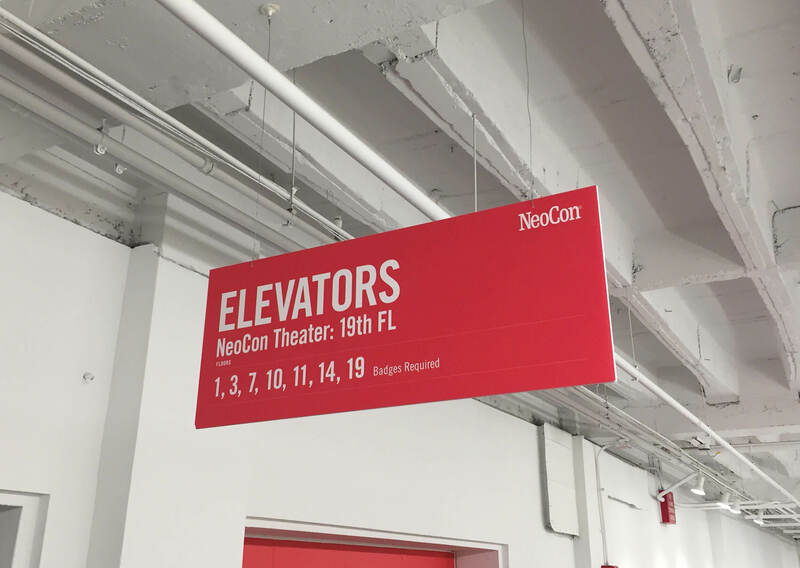 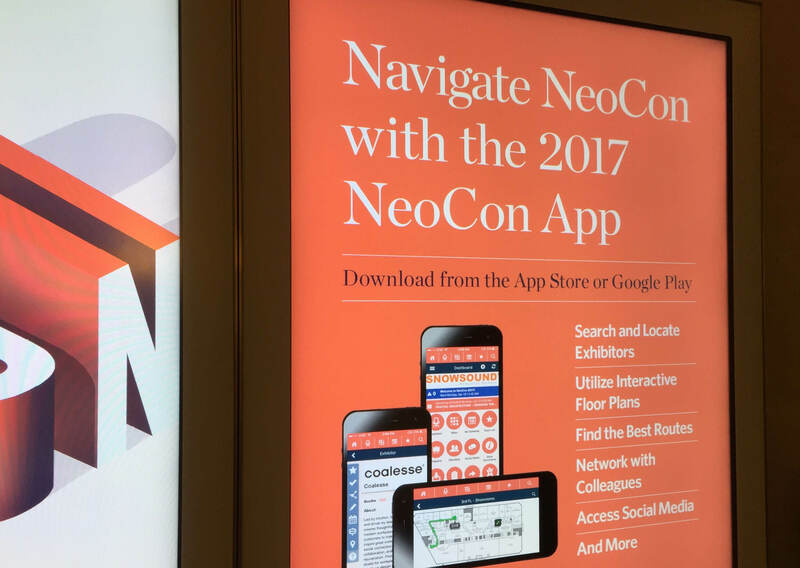 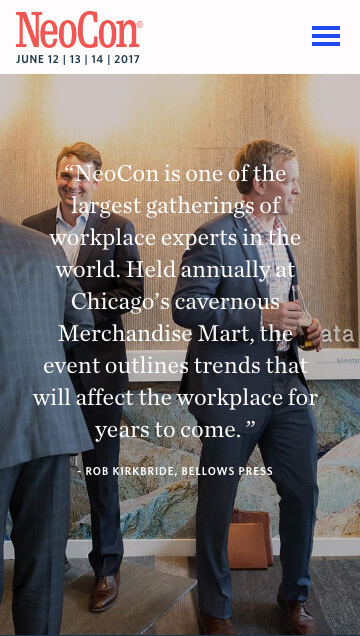 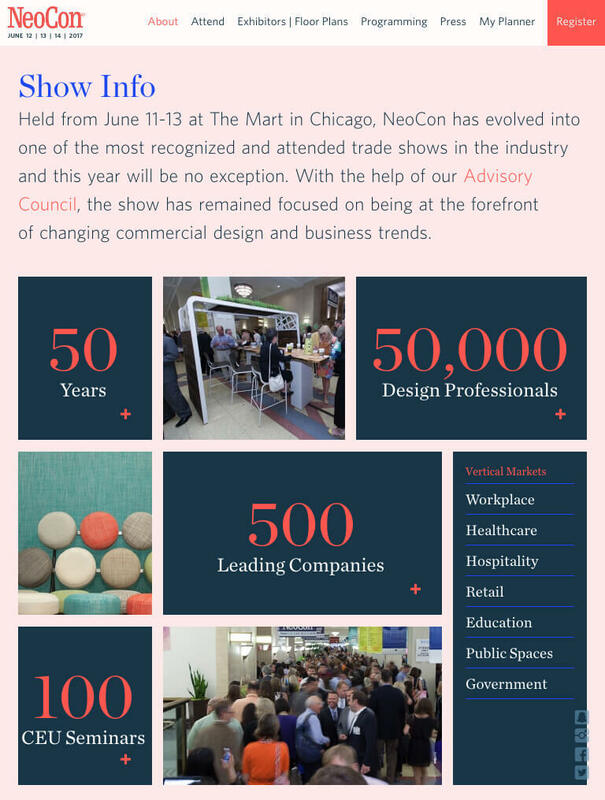 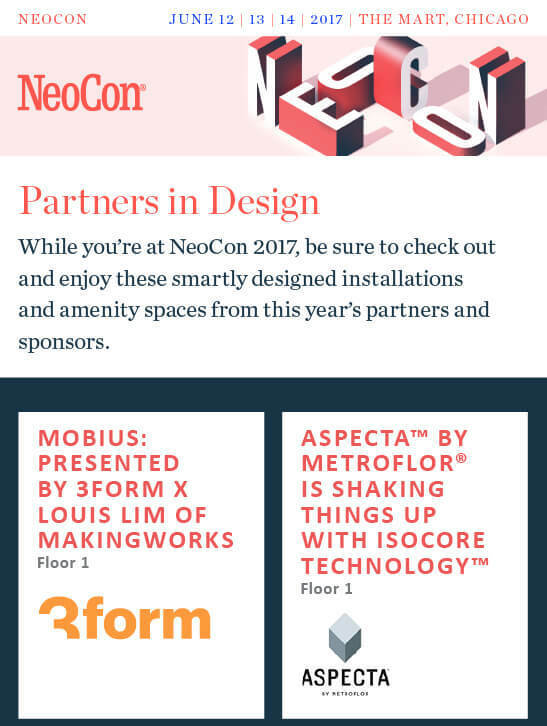 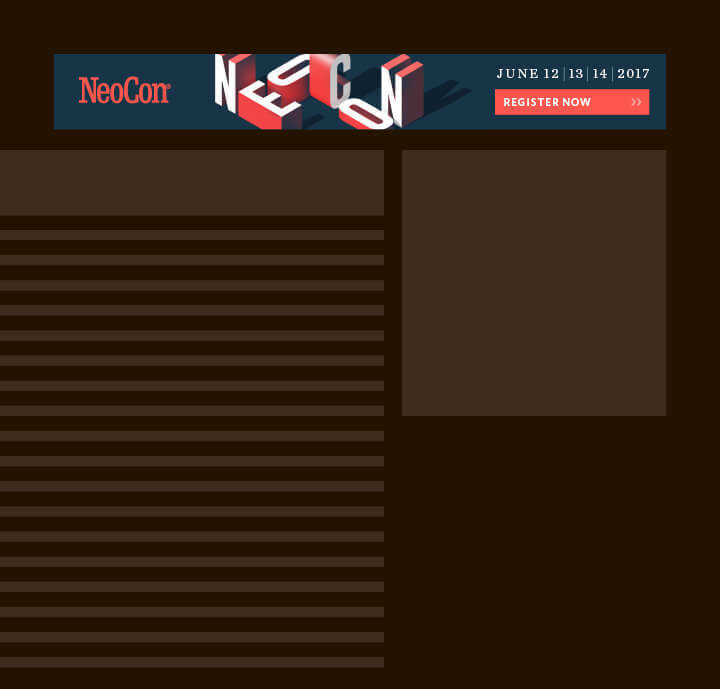 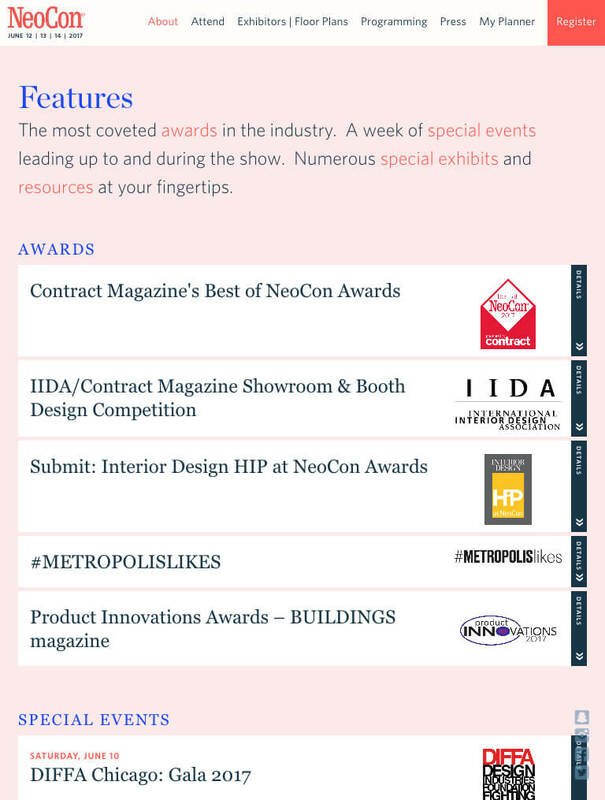 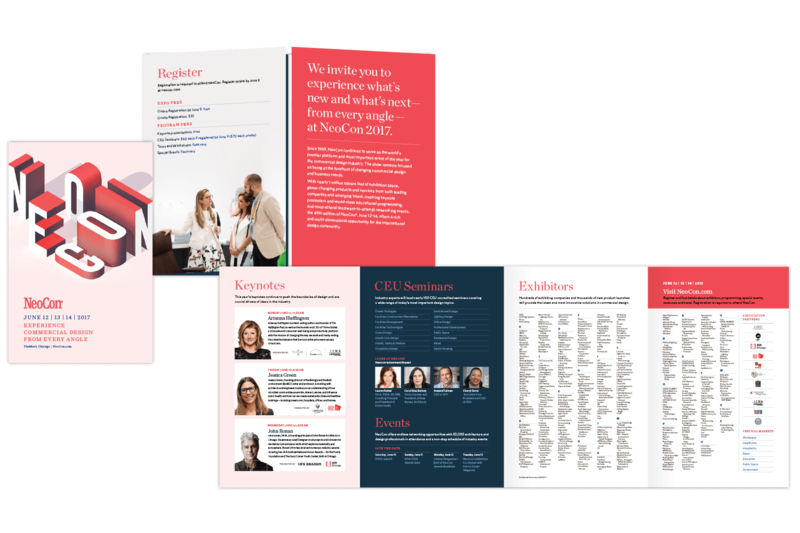 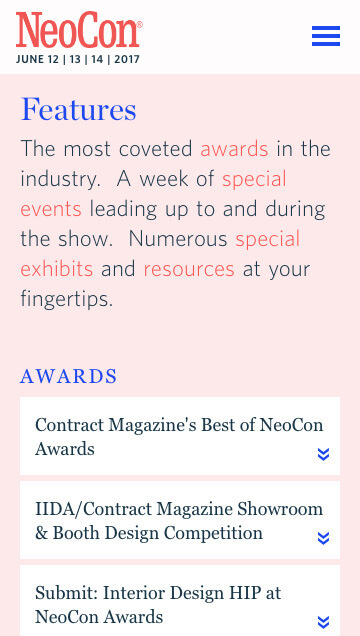 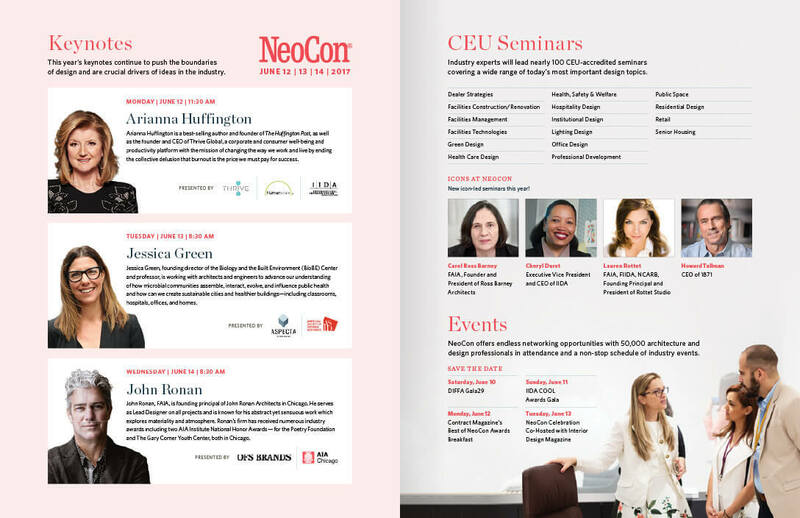 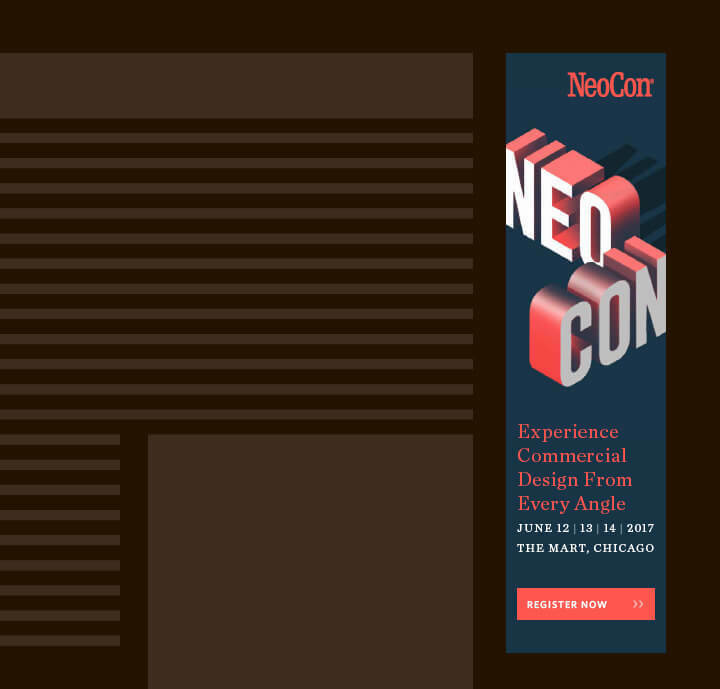 This brochure was both printed and delivered as a PDF to potential exhibitors explaining the benefits of exhibiting at NeoCon each year. 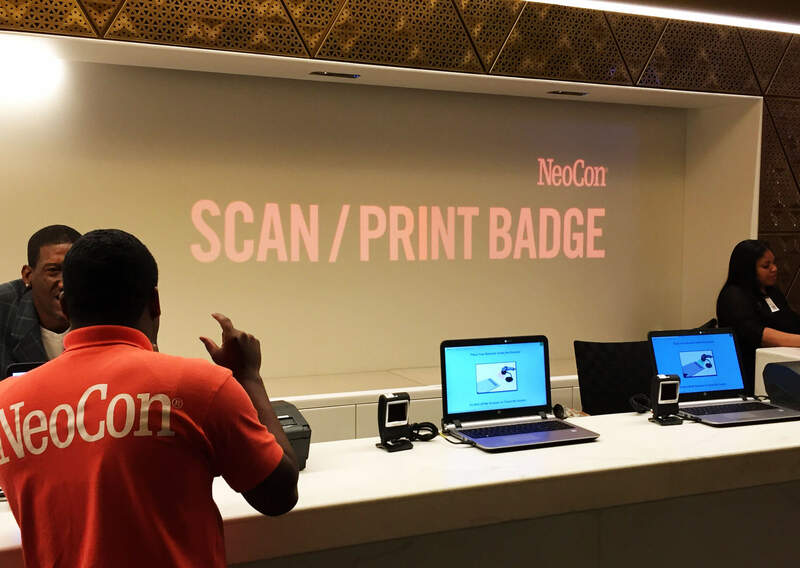 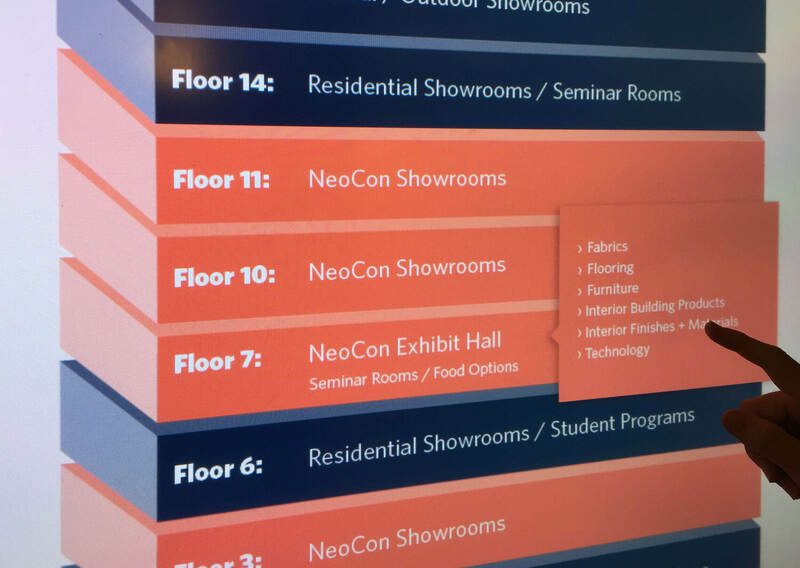 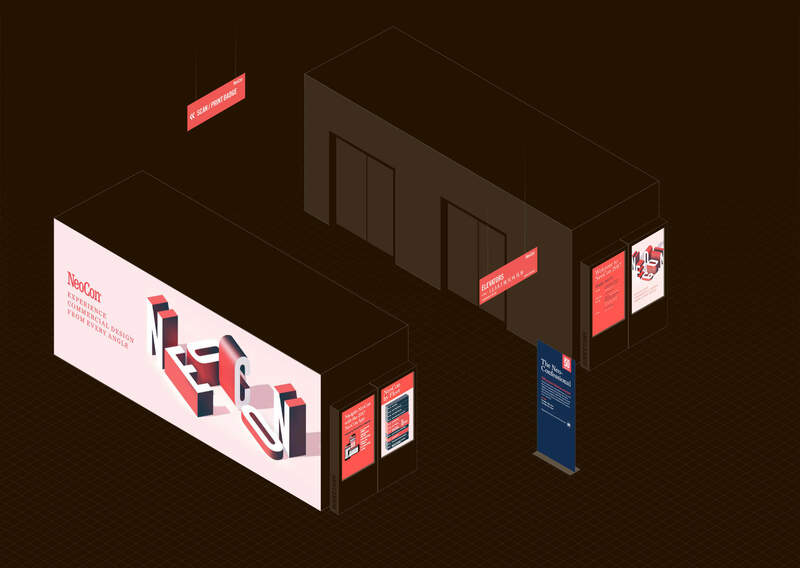 We developed a system of way-finding signage and interactive digital displays that branded theMART for the event. 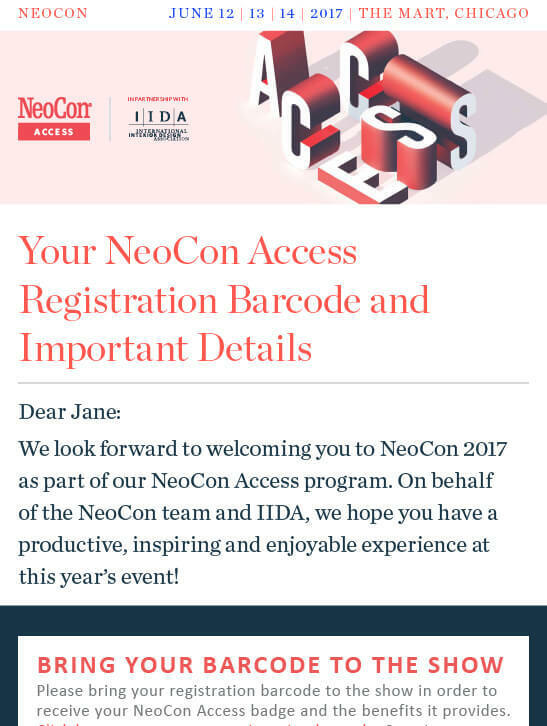 VIP Invitation A personalized letter and access card were sent in tandem with the direct mail brochure and invited select attendees to a VIP event at the show.